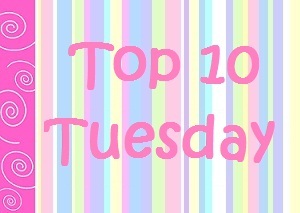 Top Ten Romances in Books - My Life Is A Fairytale That Will Never End. OMG - these two. Best. Romance. Book. Ever. In Insurgent the romance between them wasn't really the main part of the story, but God, I loved every minute of it! Awww. This. Book. OMG. And the romance is slow and sweet and completely amazing! Music, music and sweet romance. Hell, yeah. Well. The romance and the sarcasm are just incredible. Because these two will be one of my favourites for, probably, till the end of time. Well, let's face it - there can't really be a romance list without Jace's name stamped on it. It would be just wrong. Awww waw, I love romance!! Sometimes in real life I start dreaming too much - and I say to myself "I read too much romance books" and then I think better of it and say "But hell, I wouldn't change it for the world!" I absolutely LOVED Obsidian! And Anna and the French Kiss is on my list too! Great list! Have a great Valentine's day, Nea!